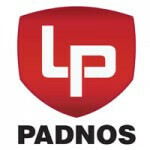 At PADNOS, you can provide a better future for yourself, your family and our community. Did you know that we provide 100% tuition reimbursement for team members and 75% reimbursement for their dependents, first time home buying assistance, conprehensive medical coverage, and team member focused programs that teach life skills, financial planning, and team member assistance? Our team members are our work family. You will be known by name. We will recognize and reward you for results. We are all in this together. PADNOS invests in our employees, the communities we serve, and the environment. Are you ready to invest in a better future with us? 1 Job Available • Recycling the world over, and over. PADNOS Recycling the world over, and over.